The Cox® flexion-distraction technique, founded by James M. Cox, DC, DACBR in the 1970s, was created with the intent of offering a non-invasive and effective means of treating low back pain. In particular, the technique is aimed at treating disc pathology, spinal stenosis, back pain, sciatica, , facet joint imbrications (jamming), sprains/strains, and other low back joint and soft tissue problems. Cox flexion-distraction is a gentle, non-force adjusting chiropractic procedure that works with the body's natural design to aid it in healing. A special table has been developed for effective use of this technique. The Flexion-Distraction table, is used to apply the distraction spinal manipulation adjustment. By tractioning the spine and then flexing it can resolve pain from joint and disc problems painlessly. It is a powerfully effective, conservative approach to low back and leg pain, and an alternative to explore before recommending surgery. Dr. Fedorov believes in using hands-on flexion-distraction performed by the Doctor and not a computer guided system is far superior in that a skilled practitioner can palpate the amount of tension on the vertebrae and adjust the amount of table angle to compensate. Dr. Fedorov strives to make each therapy individual and adaptive depending on patient symptomatology. Hands-on flexion-distraction is also much more affordable ( and from my experience better treatment outcome) than the often hyped computerized methods. 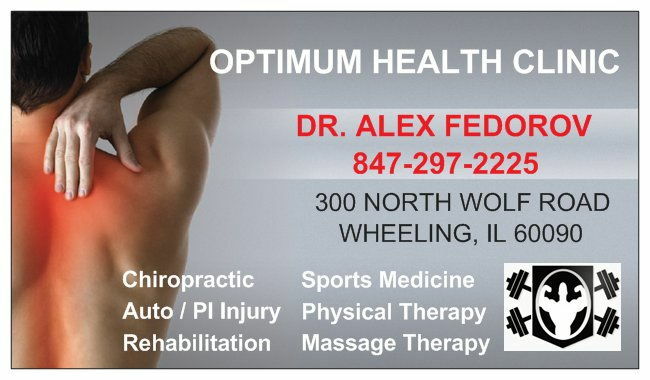 Dr. Fedorov has been using this technique ( Certified in Cox® Technique Post Graduate Training) for the past 8 years and has helped thousands of patients relieve their disc and non-disc related low back pain +/- leg pain (sciatica). Many patients say, "I just feel like I need to be stretched out." Flexion/distraction feels great! It also is the technique that offers the greatest relief and is most easily tolerated by patients with acute back pain according to recent studies. 1. The disc space increases in height relieving irritation of the spinal nerve. 2. Decreases disc protrusion and reduces stenosis. 3. Tensions the ligaments to reduce stenosis. 5. Increases metabolite transport into the disc. 6. Opens the posterior facet joints and reduces posterior disc stress. 7. Intervertebral foraminal openings enlarge giving patency to the nerve. Reference: Cox JM, Feller JA, Cox-Cid JA: Topics in Clinical Chiropractic 1996; 3(3):45-59. We further direct you to the Cox Technique website to find out more about the technique and the federally funded research. Research on Flexion-Distraction Click Here.